Sierra Canyon in Reno, Nevada boasts breathtaking mountain views and amazing resort-style amenities. Throughout the country, active adult communities offer tranquil retreats near beaches, mountains and suburban town centers. Active adults who enjoy calming mountain vistas may find their ideal home in some of these great communities. Sierra Canyon is set on the south slope of the Peavine Mountains, in Reno, Nevada. This picturesque community features both resale and new construction homes, an amenity-rich clubhouse and access to 27 holes of golf at the Somersett Country Club. Its mild, four season climate is perfect for year-round outdoor activities. Just 80 miles northeast of Las Vegas, Sun City Mesquite enjoys a tranquil mountain setting, while offering an exciting line-up of indoor and outdoor amenities. Residents come together for classes, clubs and activities at the 30,000 square-foot clubhouse and enjoy 18 holes of golf at the Conestoga Golf Course. In the foothills of the Black Mountains, Sun City Anthem is perched above the Las Vegas Strip. This popular community was built between 1998 and 2008, now offering 7,144 homes in a wide range of styles and sizes. Multiple clubhouses offer amenities such as hobby and game rooms, golf courses and swimming pools. Trilogy at Redmond Ridge is located on the outskirts of Seattle in Redmond, Washington. The recently completed community offers fabulous views of the Cascade Mountains, along with an amenity-rich clubhouse, an 18-hole golf course and a busy social calendar full of classes, club meetings and special community events. 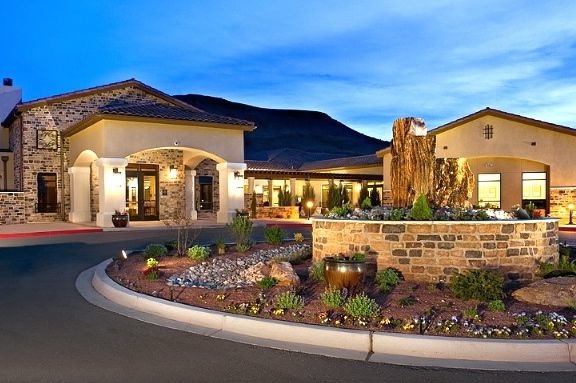 Jubilee at Los Lunas in New Mexico offers renowned active adult living for residents as young as age 45. With plans for 700 single-family homes, Jubilee at Los Lunas offers an amenity-rich lifestyle ideal for active adults aged 45 and better. The spacious clubhouse includes hobby and game rooms, a fitness center, swimming pools, sports courts and more. Its prime New Mexico location sets residents at the base of the El Cerro de Los Lunas Mountains. Surrounded by mountains and set on the northeastern edge of the Mojave Desert, Sun River at St. George offers a beautiful retirement retreat. This partially gated community has plans for 2,300 single-family homes, along with a variety of resort-style amenities. Residents are also within easy access of state and national parks, including the Grand Canyon. In Green Valley, Arizona, Quail Creek welcomes active adults aged 40 or better. The private community features multiple recreational facilities, as well as a number of outdoor activities. The tranquil setting provides a quiet retreat, while also being just 30 miles from Tucson and even closer to all the shops and restaurants in nearby Green Valley. Just 30 miles southeast of Phoenix, near the impressive Tan Mountains, Solera by Del Webb offers impressive amenities including swimming pools, a state-of-the-art fitness center, hobby and game rooms, sports courts and more. Residents at Solera also enjoy discounted rates at the public Lone Tree Golf Course. Surrounded by the McDowell Mountain Regional Park and Tonto National Forest, Tonto Verde offers scenic mountain views while being just 45 minutes from Phoenix and Scottsdale. The community features 717 homes, two 18-hole golf courses, on-site dining, hobby and game rooms, sports courts and more. Trilogy at Encanterra offers lovely views of the Tan Mountains, while being just 45 minutes from Phoenix. The community features a 60,000 square-foot clubhouse with an exciting line-up of indoor and outdoor amenities, including a private 18-hole golf course, scenic ponds and parks, on-site dining and a full-service spa. 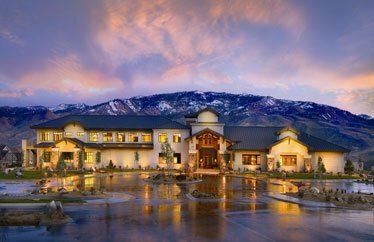 At each of these communities, mountain views and resort-style amenities come together to create an ideal setting for active adult retirees.